In June of 2008, Wanbli Tate initiated an online petition entitled "Wounded knee Medals of Dishonor." By May 3rd, the day of the incident where three Blackhawk helicopters attempted to land at the Wounded Knee Memorial site, but were prevented by Lakota women, children and men. They had not been notified earlier that they were coming and felt that landing at the site by the military was an insult and desecration of their ancestors grave site. The people who defended Wounded Knee said they would have welcome the military coming to hear their story, but don't bring their weapons of war to their sacred grounds. 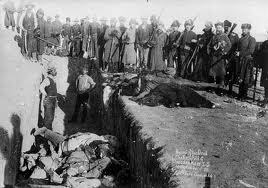 Therefore, Be It Resolved, that the Oglala Sioux Tribe will take every action to see that the United States Reclaims the Twenty Medals of Honor from the 7th Calvary for their role in the Massacre at Wounded Knee, to remove any recognition the US Military bestows to its entities for the Massacre at Wounded Knee, and to obtain the return of personal items taken from Lakota people at the 1890 Massacre. Therefore Be It Further Resolved, that the Oglala Sioux Tribe, its members, any entity, organization, or resident on the Pine Ridge Reservation will not allow the United States Military from this time forward to come anywhere near the 1890 Wounded Knee Massacre Mass Grave in order to demonstrate Honor and Respect for the Lakota people buried there, and to ensure a peaceful, nonviolent, weapon-free zone for the Mass Gravesite area. The petition started by Wanbli began to gather momentum and signatures have been added daily since this incident. He would like to have 10,000 signatures so that he can approach the Senate Armed Forces to rescind the medals of honor awarded to "Twenty-three soldiers from the Seventh Calvary were later awarded the Congressional Medal of Honor for the slaughter of defenseless Indians at Wounded Knee." The petition goes on to say, "We are asking that these Medals of DIS Honor awarded to the members of the 7th Calvary of the United States Army for the murder of innocent women children and men on that terrible December morning be rescinded. And that the Battle Pennant on the Flag of the United States Army be removed and destroyed." The purpose of the visit according to Two Bulls from her communications with the military was that they wanted to learn from the lessons of the past. The military source said it was a breakdown in leadership that caused the massacre. In a recent Denver post article on the May 3rd incident, Capt. Michael Odgers, a spokesman for the Colorado Army National Guard, said, "While the Battle of Wounded Knee is a dark chapter in the history of the Army, without learning from the mistakes of our past we are doomed to repeat them." 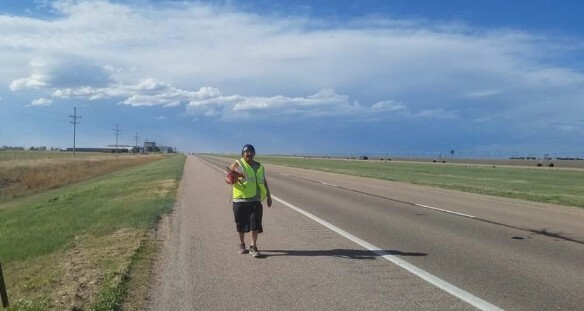 Every time a politician visits the reservations, they should be told that they will be welcomed to campaign for office AFTER they sign the revocation petition. And whenever Congressional and Presidential candidates have press conferences, reporters should ask them where they stand on medals revocation. The issue must be repeatedly brought before the American people so that the commentators and news reporters will have reason to explain the injustice! Instead of complaining about the media, we should USE the media. Other groups do it. We can too. I think the battle penants on the flag should go into a museum as a reminder just like the Holocaust museum, to remind people of the USA dark past of this massacre incident as a lesson of the past to learn from and work for a better future.